If you are interested in climbing or entering the backcountry and looking for gear, knowledge and a place to train & practice, Sound Bikes & Kayaks has the expertise. 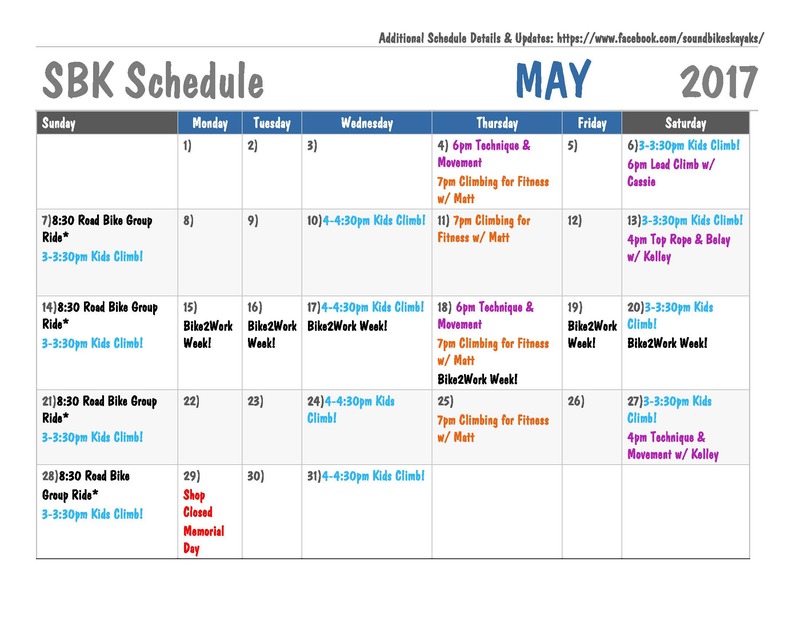 Reserve your spot in one of our classes now! - Open climbing during store hours (all ages). - Informal classes and private instruction. - In-depth classes taught by certified & experienced instructors. - Technical climbing and alpine gear. 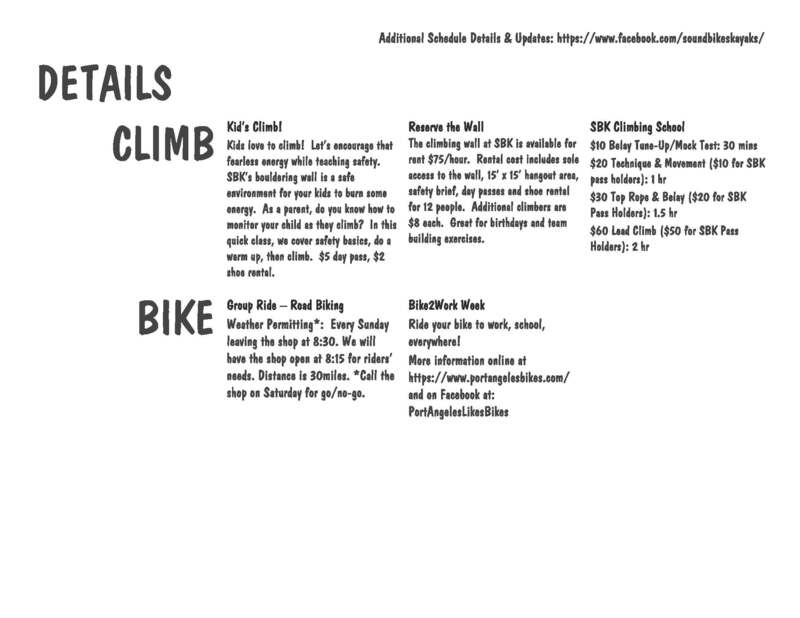 - Knowledge of local climbing areas & events. - After hours climb nights.